An object that enters our home and immediately becomes iconic due to its scenic impact. 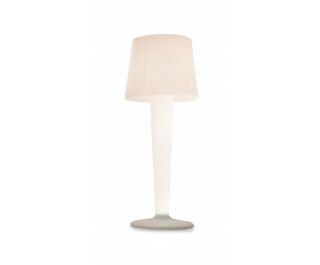 XXLight is a lamp consisting of a white polyethylene stem and a white polycarbonate lampshade. Owing to the light source fitted, XXLight lights its surroundings and diffuses light delicately upwards.